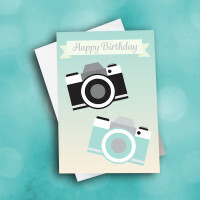 A picture captures a moment in time to remember forever. 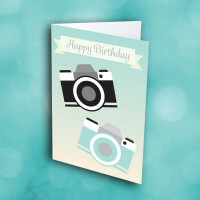 Capture a special day with this photography themed birthday card. 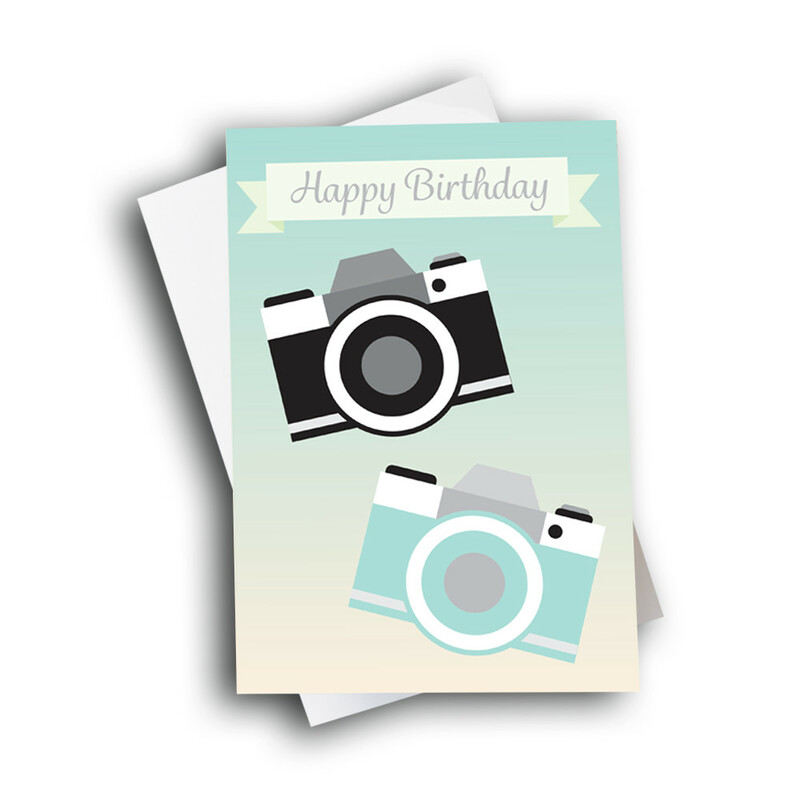 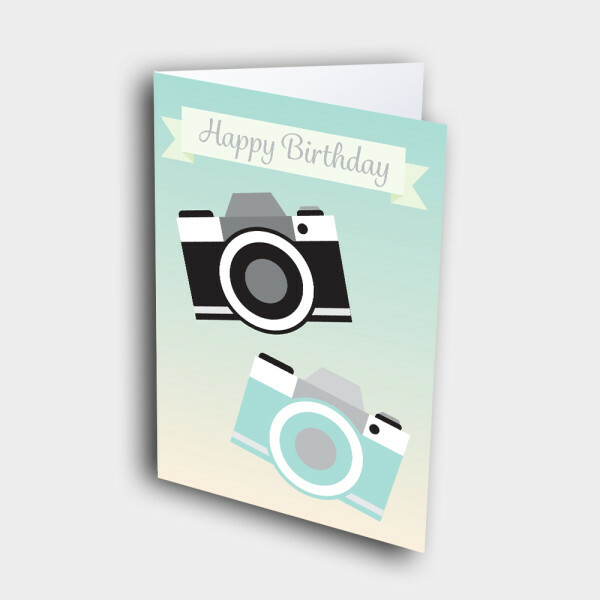 An artsy birthday card for the photography-lovers in your life. Two stylized cameras in contrasting colors sit on the front, under a fancy birthday banner. 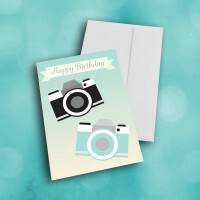 The blue-to-white fade background adds to the simple class of this birthday card. 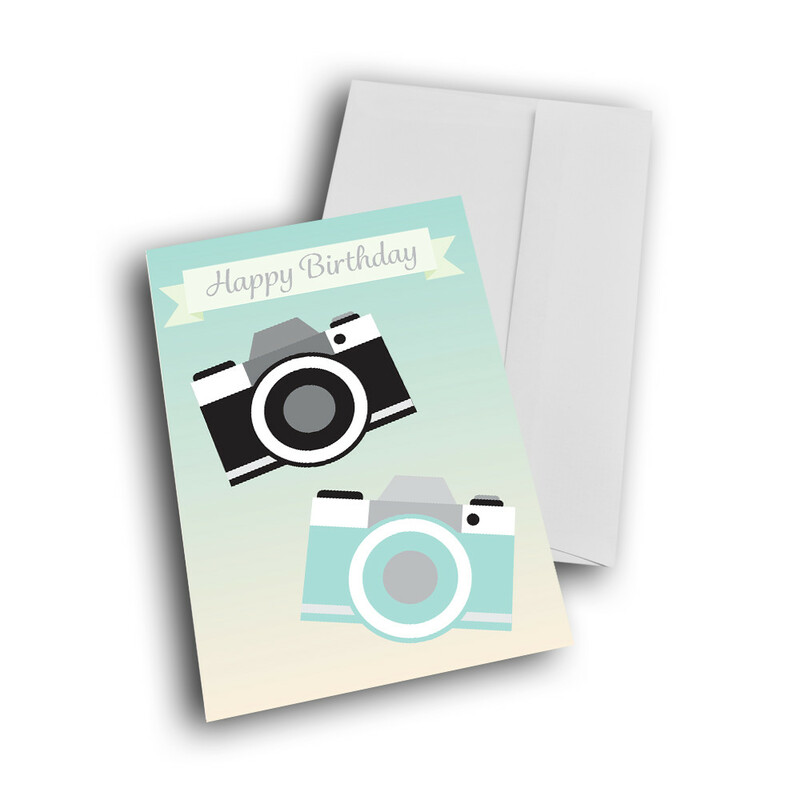 Personalize a message inside to give this greeting card your individual touch.